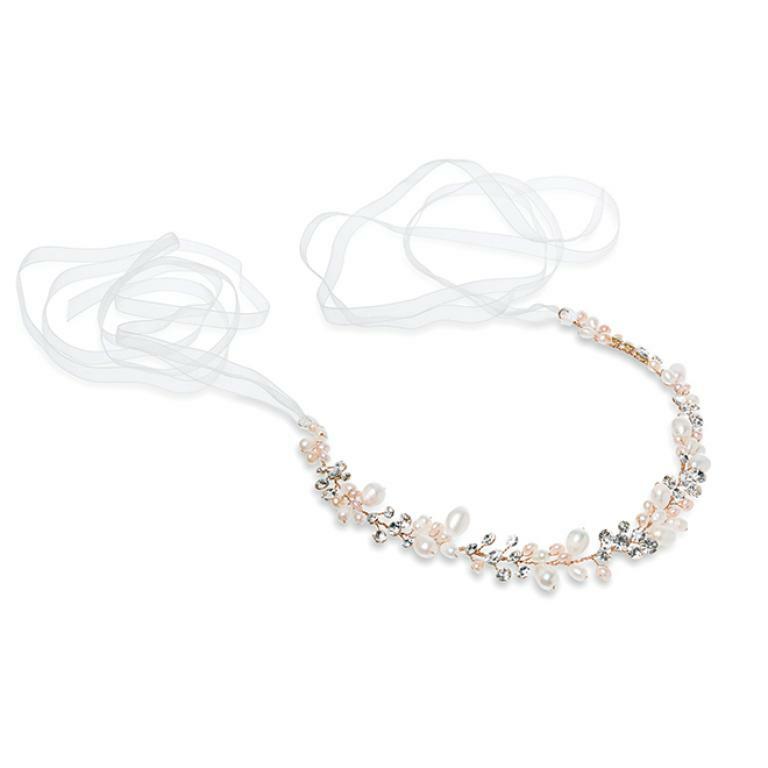 A really pretty and delicate hairvine. 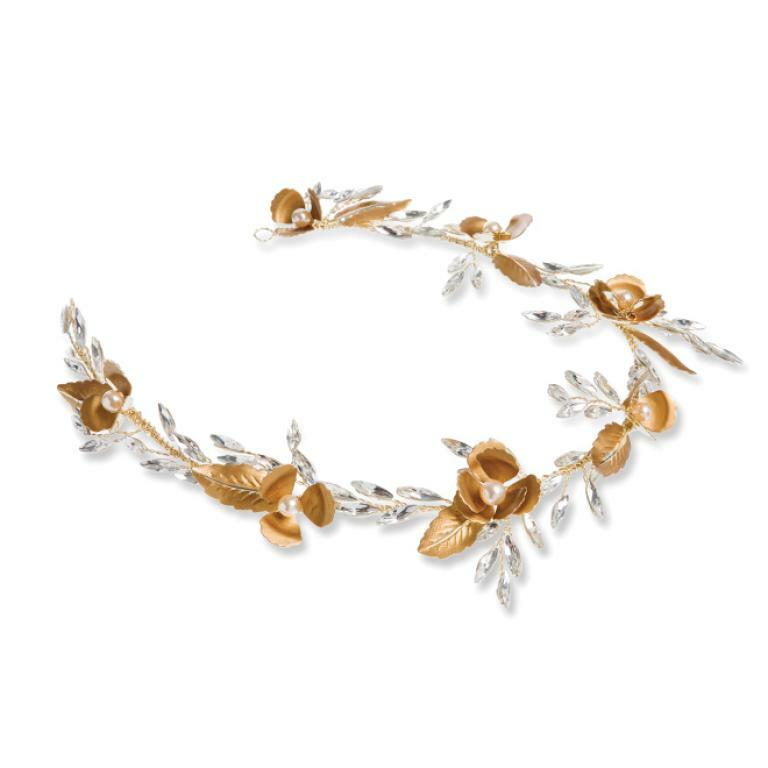 Sparkling marquise crystals with natural lustre man-made pearls are set in a floral and vine leaf pattern. 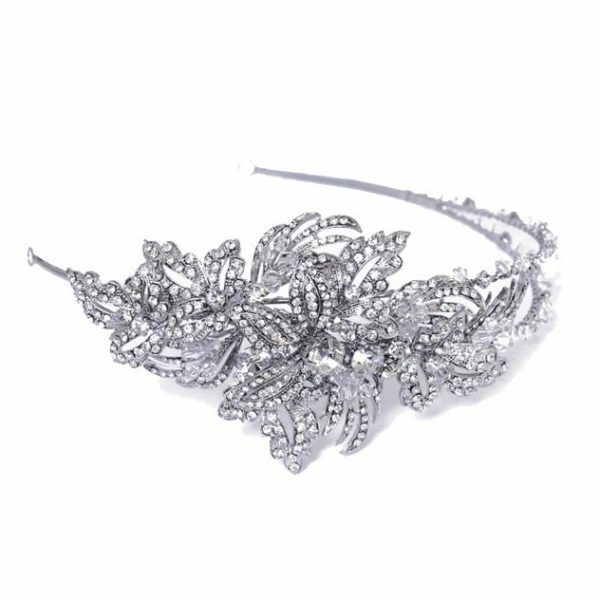 Corinthia can be worn like a tiara or pinned to the side or back of the hair. 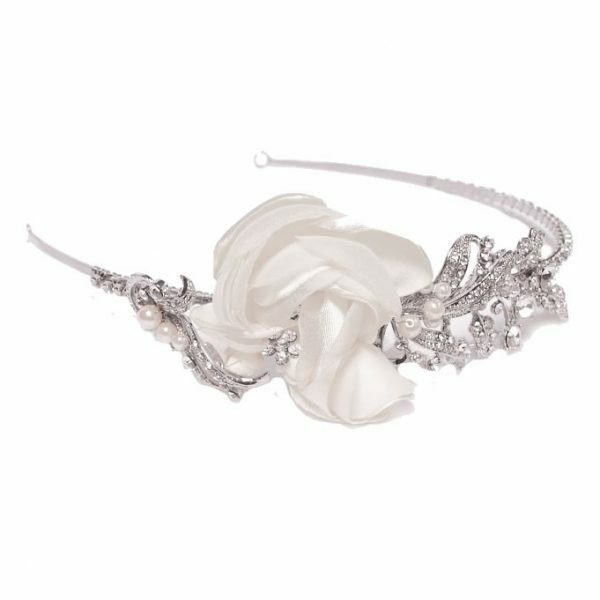 This piece is ideal for brides looking for a more bohemian style. 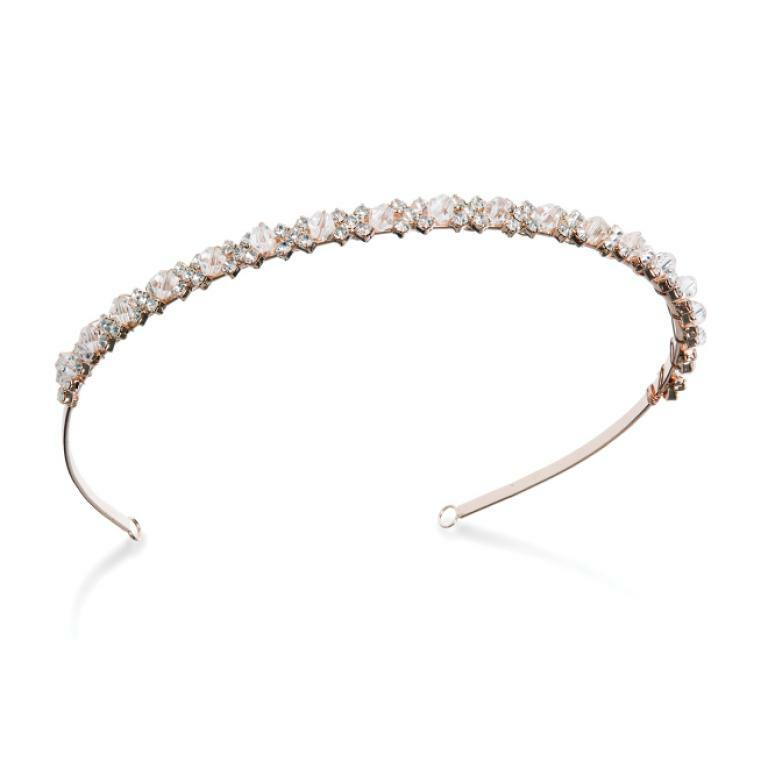 Evie is a simple and elegant designed piece. 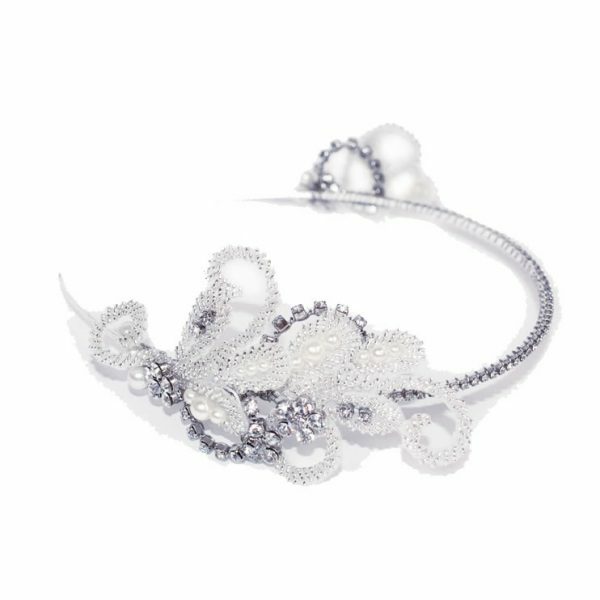 Delicate solitaire cut stones and crystal beads alternate with natural lustre man made pearls along the band to create a classic bridal look. 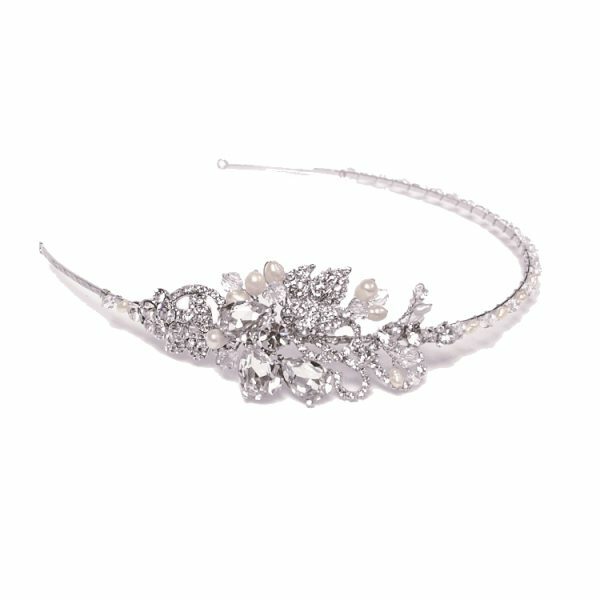 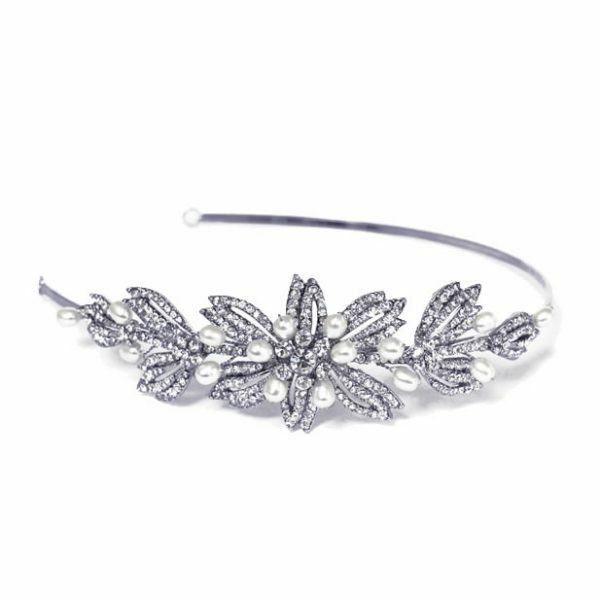 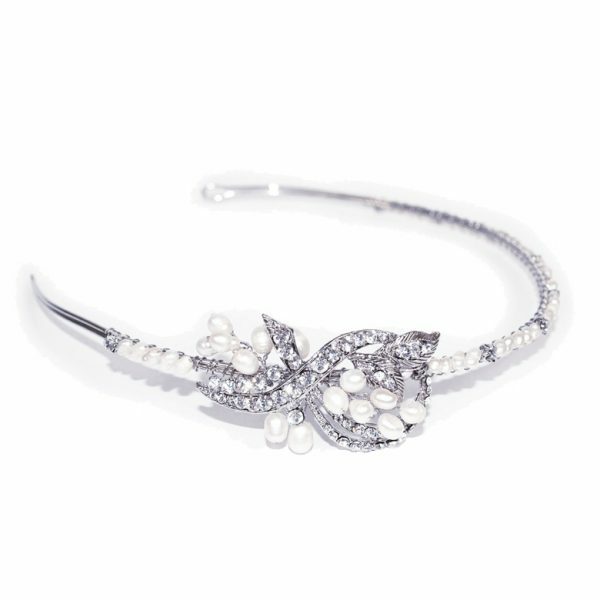 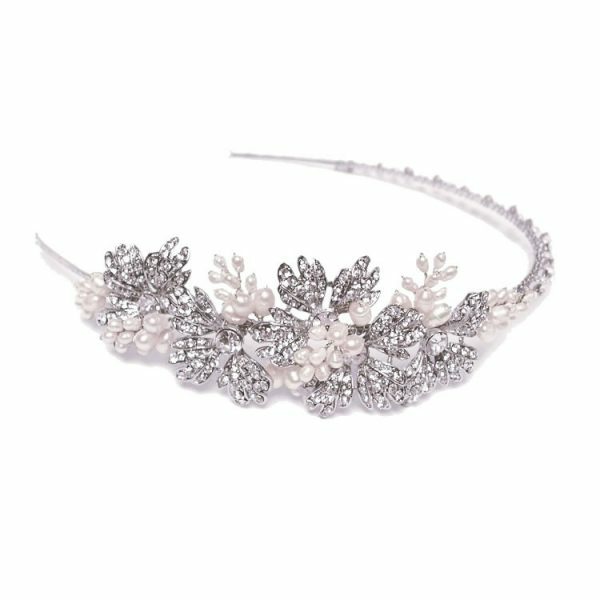 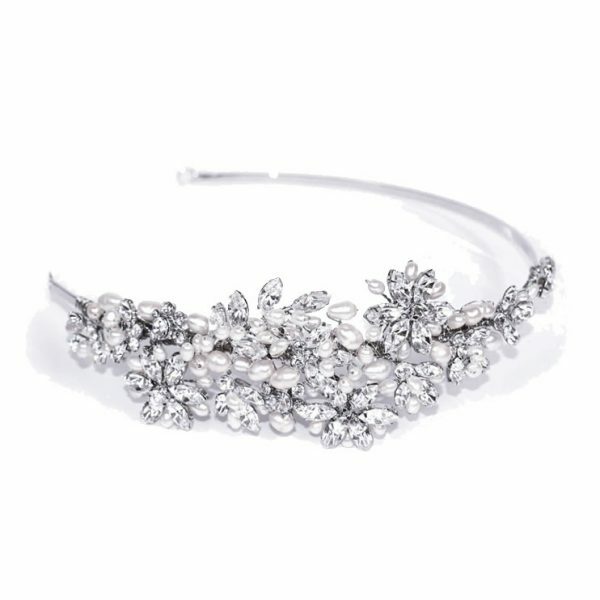 Perfect for any bride wanting a delicate, sophisticated look. 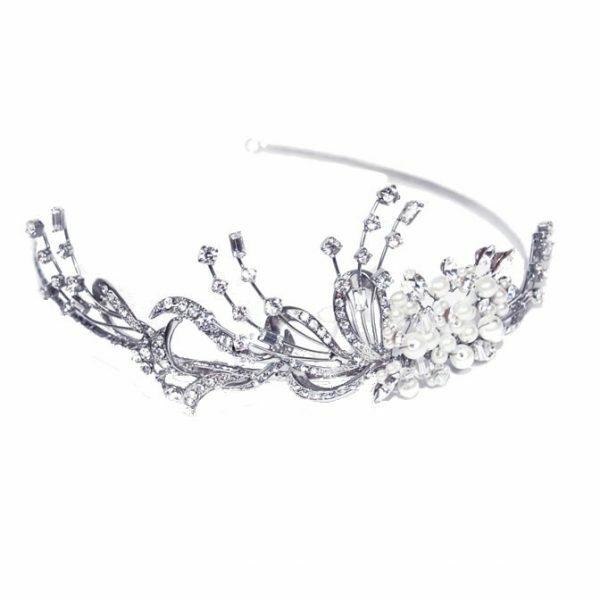 This design is a great choice for bridesmaids also.